While we were at Josh's footy at Figtree today, Maddi was pecked on the head twice by a magpie. Obviously it freaked her out no end, and she has two pretty sharp wounds on her head. When she got home, she decided to draw this. We all headed out tonight to Nardi's Italian Restaurant at Shellharbour City, ostensibly as it was where Jess has chosen to have her birthday dinner. This is, of course, despite the fact that her actual birthday is not until Wednesday, and she has already ordered a roast pork dinner (with crackling) for that night. Jess even took on the adult sized chicken parmigiana, and managed to completed all of it (bar the salad, like a good Peters). I had the veal bolognese which was also good. The kids and Helen all looked great for their night out. This afternoon there was a wonderful and lovely memorial held at Albion Park Public School for Michael and Carol Clancy, who lost their lives a week ago on Malaysian Airlines 17 over the Ukraine. All the church leaders were there and had their chance to speak. Most impressive and moving was of course Jim Cooper, former principal and close friend of Michael. What a tough week he has had, and what a marvellous job he has done in recalling Micheal's legacy. He has done him proud. At the end, the kids let go balloons, with messages attached for both of the Clancy's, and let them fly off into the distance, which was a touching and wonderful moment for everyone. It has been a long week for everyone involved, and while the Clancy's and their work will never be forgotten, hopefully now the kids can put this tragedy behind them. We journeyed to Kembla Grange this morning to mourn and remember the life of Tim Davies, who sadly passed away three weeks ago on July 4th. 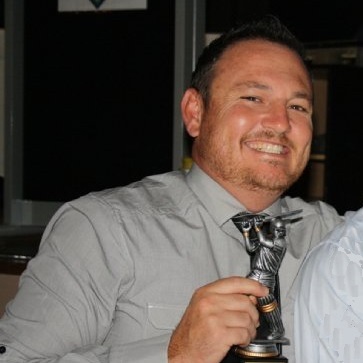 Tim first came into our lives back in September 2003, when he arrived at the Kiama Cricket Club, and played in our 2nd Grade side that made it to the final in the 2003/04 season. It took me a few games to get to know him, and my character, and no doubt the reverse was probably also true. In our second game together, I was square leg umpire when he edged a ball to first slip and was caught. Tim stood his ground - first impression, not a walker. The standing umpire hesitated, and then asked of my opinion as to whether the catch was taken. I was on the opposite side of the slips cordon, but it looked a regulation catch from where I stood, which I indicated, and the umpire upheld the appeal. Tim began to walk off, and as he passed me he adamantly cried "It fell a foot short of him!!!" Second impression - a passionate cricketer. I'm pretty sure his first impression of me from this instance was 'a bloody idiot'. I'm not sure he ever forgot that moment. It probably didn't help that he was dropped to 3rd Grade for the following few rounds. Tim played the majority of that season as a batsman. He finally came good in the last game before Christmas, scoring 72 in the win against Jamberoo. Ironically, this was the game that cost Kiama any chance of the 2nd Grade minor premiership, when it was found Anthony Mortimer had not received a clearance, and the club had the points taken off them. In the first game after Christmas in January against The Rail, Tim had made it to 52 before being dismissed. His first words on leaving the field were "I've just thrown away a hundred there!". He was right. Rob Farrell and Steve Holz did not make the same mistake and scored centuries that day, and Tim was still kicking himself over it years later. By now Tim had well and truly established himself in our circle. Off the field, in social groups, he was a clown. He had that cheeky grin, the shining eyes, and the shrug of his shoulders that implied his impish behaviour. He loved a joke and a laugh. He held himself equally well in a crowd of twenty off to the races, or in a group of three or four over a beer and an occasional cigarette in a casual conversation. He fitted in well with us, because we loved to talk sport, and we loved to know that we were experts on every sport in the world, and why wasn't everyone listening to us because of it? When we disagreed on a sports subject - and that would occur every so often - the discussion was eventually ended by Tim when his eyes lit up and he did his shimmy with his shoulders while announcing, "Well, you're wrong! ", laugh, then move onto the next topic of conversation. Not only did I love this, I loved his passion and determination on the field. He hated losing, as much as anyone I've played with, and he would move heaven and earth in order to avoid it. When he finally took the gloves and became the team's wicket-keeper, he played the leading role, and wasn't afraid to tell the opposition what he thought, or his teammates either. Some of his team mates got rubbed the wrong way by it, but it was never personal. It was just that he wanted the best out of everyone, and he wanted to win. This was obvious in any game he played, not just cricket. People quickly learned that you never played cards with Tim if you were going to be satisfied with just having a friendly game and that the result didn't matter. It was a serious game for Tim - he hated losing, you see. On one memorable day Steve Holz even dubbed him as "Poker Magoo" over his desire to win, despite the complete lack of prowess of his partner while playing Euchre during a break in play at cricket. The moniker stuck, such that he often used the name as his sign in when it came to cricket matters such as Dream Team competitions or on the club's Forum page. It has been three months since I spoke to him, and he gave me no indication that anything was amiss at that time. On the day we were told of his passing, it was a complete shock, and one that has been difficult to come to terms with. 42 is far too young to be moving on from our world, and it still makes me sad, and a little cross, to think that he couldn't reach out to someone and just talk about what he was really feeling. Thanks for everything Tim. I will always remember you with that cheeky bloody grin on your face, like a child who has just done something that he knows full well he shouldn't have. Hopefully you are having more luck with the umpires where you have gone that you claim you did here. It is a terrible thing when you go through your whole life, working hard, making a real difference to people around you, so that when you finally get to retire,and enjoy the serenity of life beyond the workplace, you have it ripped away from you, and in the most terrible fashion imaginable. 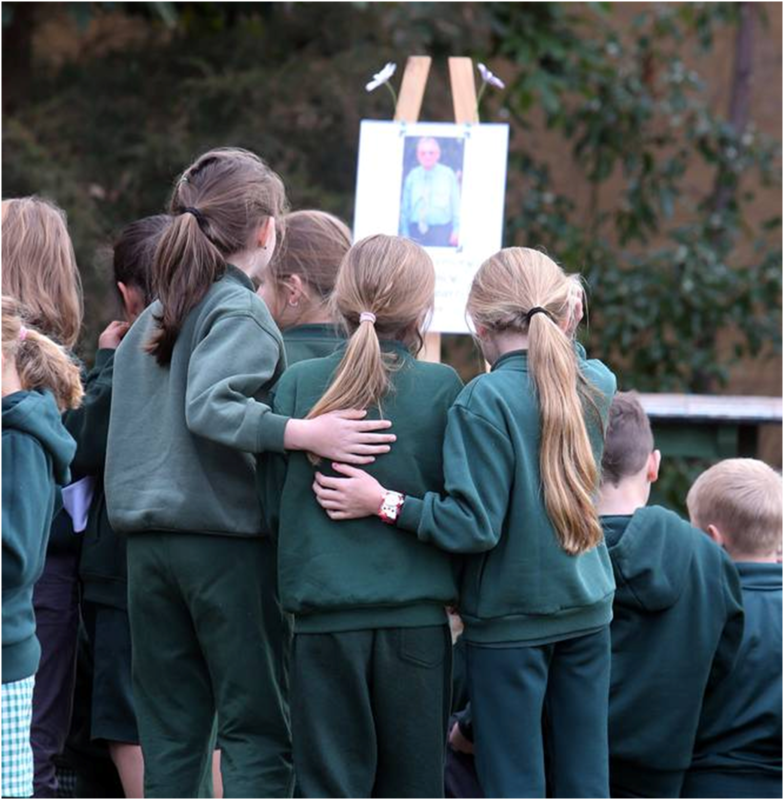 Michael Clancy was a wonderful teacher and deputy principal for Albion Park Public School, where he retired just at the end of last year. As parents of three kids at the school, his work was a standout. When our eldest daughter Jessica came to the school, it was with a peanut allergy that we were still trying to find the best way to cope with. Michael's help in this regard, his immediate knowledge of the problem and recognition of it, was terrific. He knew Jessica from the first moment, and acknowledged her. He knew Helen straight away, and acknowledged her. Just the fact that he was right on top of this made our introduction to Albion Park Public School a much smoother and more pleasant experience than it could have been. What an unimaginable end then to a life that had helped so many others. The absolute unfairness of it all, that this should happen. What is the balance in life if those that can perpetrate such a deed can go unpunished (as will in all likelihood occur), and those that have given their life to the teaching of our children, and their children, can have theirs taken when they deserved the reward of a happy retirement. Our family is only one of the many that are devastated by this. It is a sad day for the Albion Park community, for which Michael had done so much for in his years at our school. Vale Michael Clancy. A man who we will remember fondly, but who will always remain in the hearts of our children. 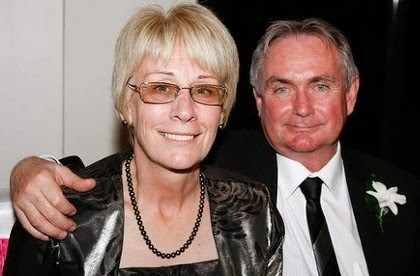 Vale Michael & Carol Clancy. Wonderful DP at A.P Public, on first holiday after retirement, murdered over Ukraine on #MH17. Tragic loss. We all headed off to Homebush again today for our second match at the Giants for the season, this game against the Adelaide Crows. It was not a great day for the Giants, receiving a 72 point hiding. We've been to two games this year, and after the 100+ point thrashing they copped from Richmond, we've been at the two games this season where they've really been off the ball. Still, we met the Longhurst's there and sat together, and the kids all went down to the fence in front of the goals and joined in with all of the cheer squad, so they had a good time. After full time, the kids experienced their first kick-to-kick on the ground, and found out the art of dodging a hundred Sherrin's coming at you while you try to find your own space to have a go. Good fun for everyone though.